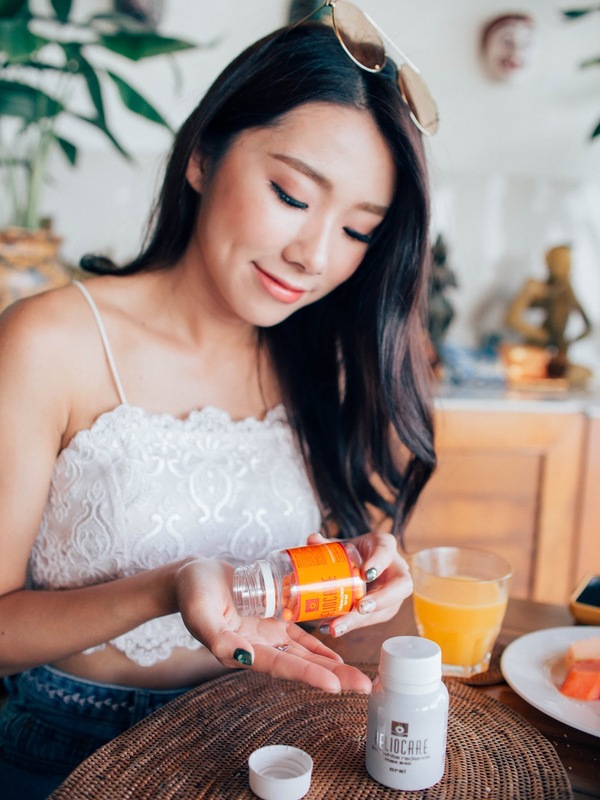 Taking Heliocare Oral Sunblock ! Keeping away from the sun has been the life I led over the past 3 years because I didn't want to get tanned AND I certainly didn't want the sun damage on my skin. As someone who spends most of her time reviewing and researching on beauty products, I know how important sun protection is, in fact, if anyone were to ask me for the most important skin tip, it would be SUN PROTECTION! Going under the sun often would mean having to deal with sticky, uncomfortable and oily sunscreens on my skin. Hair sticking onto my face, and oh... lets not forget the constant re-applying of sunscreen time and time again every few hours. It wasn't until I started filming for my new show "Who Runs The World" (I can't wait for you guys to see it on Lifetime Asia when it comes out this July!) 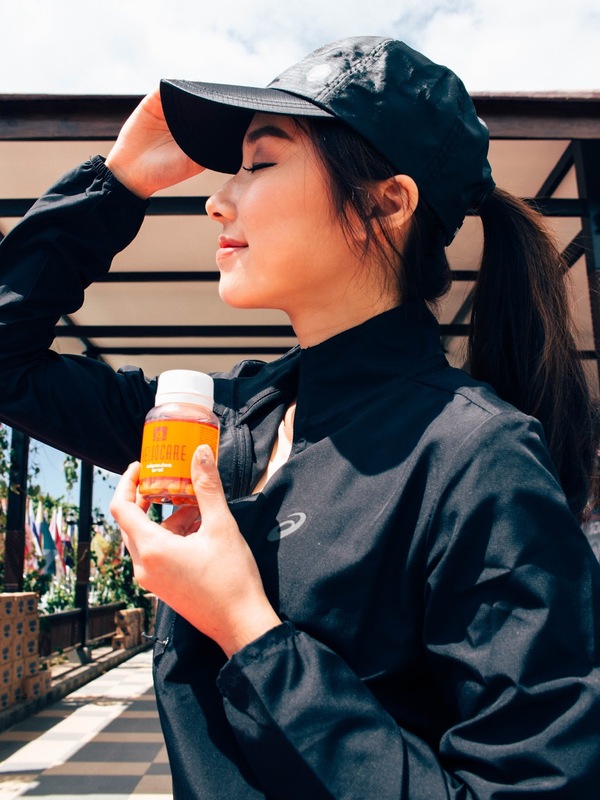 that I needed to invest in a more effective and convenient sun protection system as I would be doing lots of outdoor activities and spending lots of time under the sun. This was me right before my hike up the Mount Sisua, the mountain next to the famous Mt Rinjani! 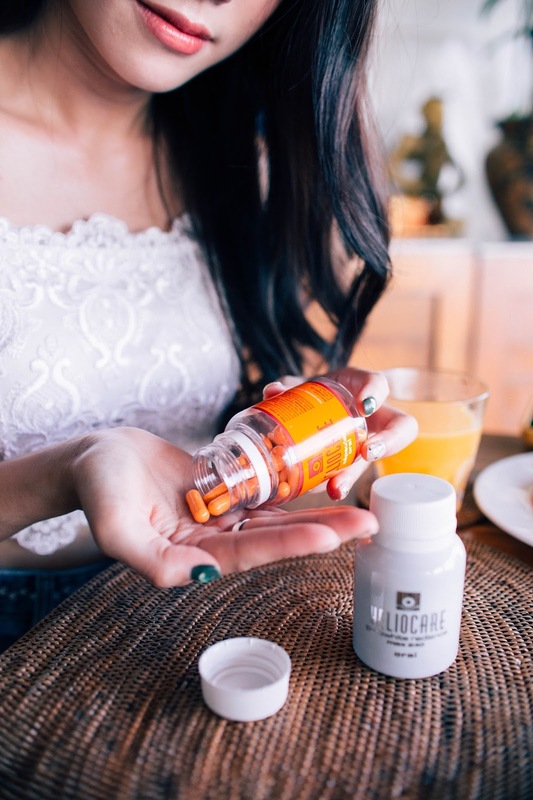 I took the Heliocare Oral and the Heliocare Purewhite Radiance Max 240 (whitening) with me on the trip and they were such lifesavers that saved me from getting sun burnt in the 38deg C weather. And yes, I went to Qatar and came back without a single sunburnt skin even though we went to the dessert under the inhumane weather too, so I promise you this really works! 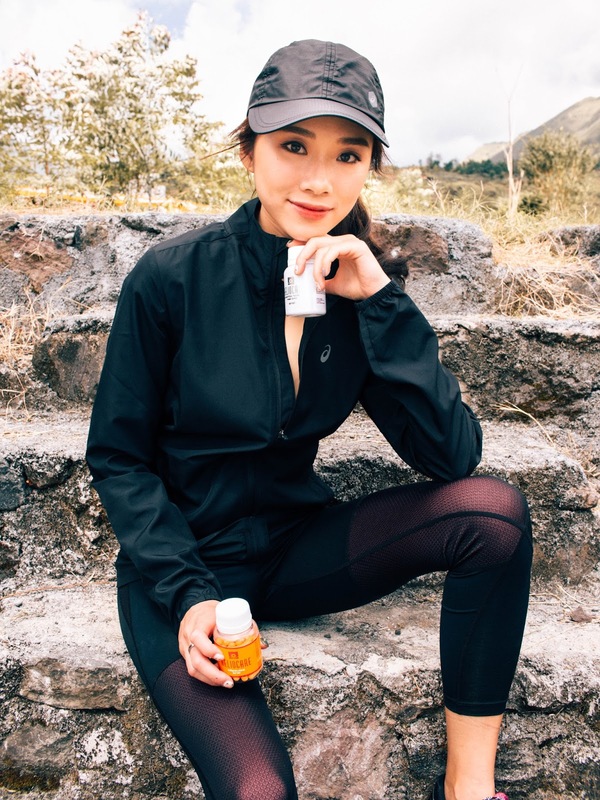 Heliocare Oral is the world's first oral sunblock - it provides oral protection with Fernblock , a patented ingredient that helps make up for the limitations of topical sunscreens, providing protection to all skin areas and reaching the skin's deepest layers. So not only do they help to protect your skin and ADD ON to your sunscreens that you're applying, it also helps with anti-aging as it's loaded with anti-oxidants, and also the repair of existing skin damage in the cellular levels. The Heliocare Purewhite Radiance Max 240 on the other hand, is able to protect your skin against UV rays, promotes anti-aging, repairs the skin and inhibits the further production of dark pigments, allowing for more radiant and fairer skin with prolong use! I'm still using the Purewhite Radiance Max 240 as I just recently got back from my trip and have gotten fairer, so let's see how long it takes for my skin to revert back to its original colour ~ So looking forward to it! So if you're always doing activities that would cause topical sunscreens to rub off like swimming, perspiring... or for areas that are often forgotten like your ears, behind the knees, feet etc... or if you'd like to avoid having to suffer when you forget to re-apply sunscreen in time.. 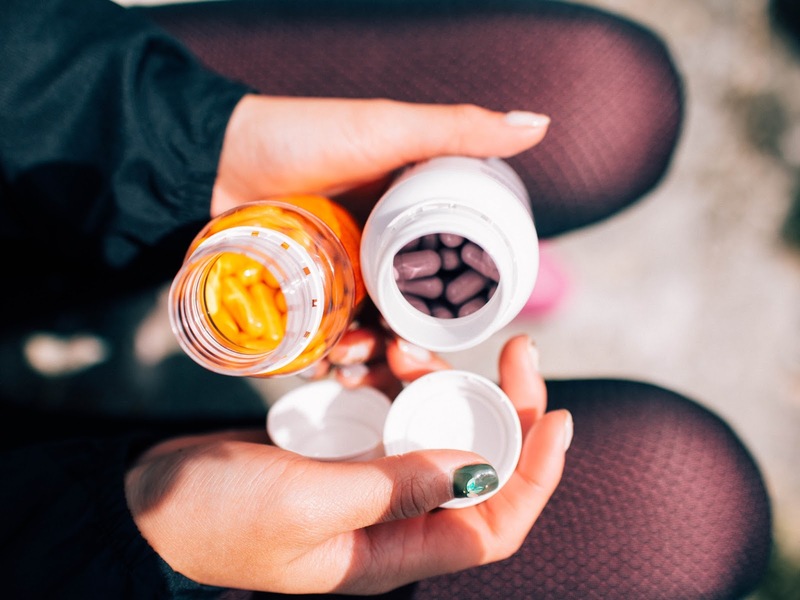 Simply take 2 tablets a day and 1 tablet 30 mins before intense sun exposure and you're covered for the rest of the day! 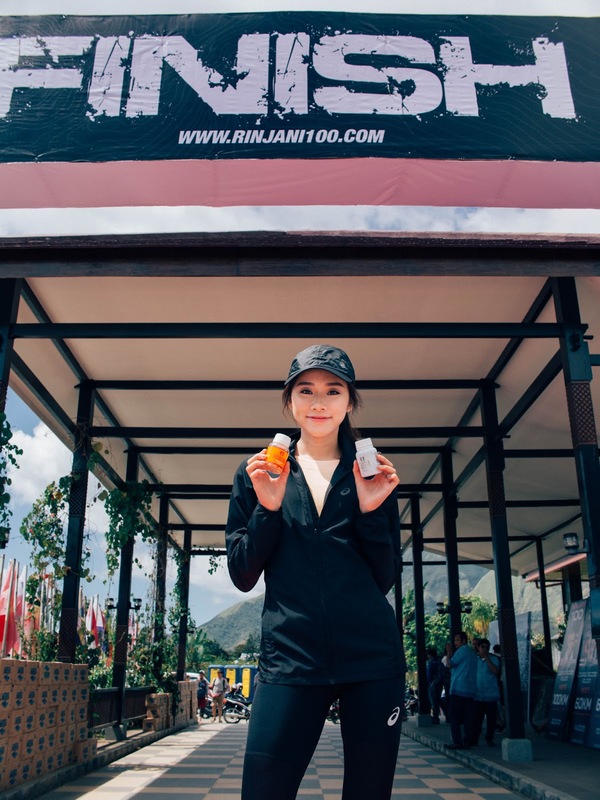 Although this is an oral sunblock, I would still apply a thin layer of sunscreen on my skin to add as an extra layer of sun protection, it's always good to be more well protected than have less, right? Overall I LOVE LOVE LOVE the Heliocare products and I think they are really sooooo life-changing. I would highly recommend it for those that are often active, and would always be exposed to the sun. 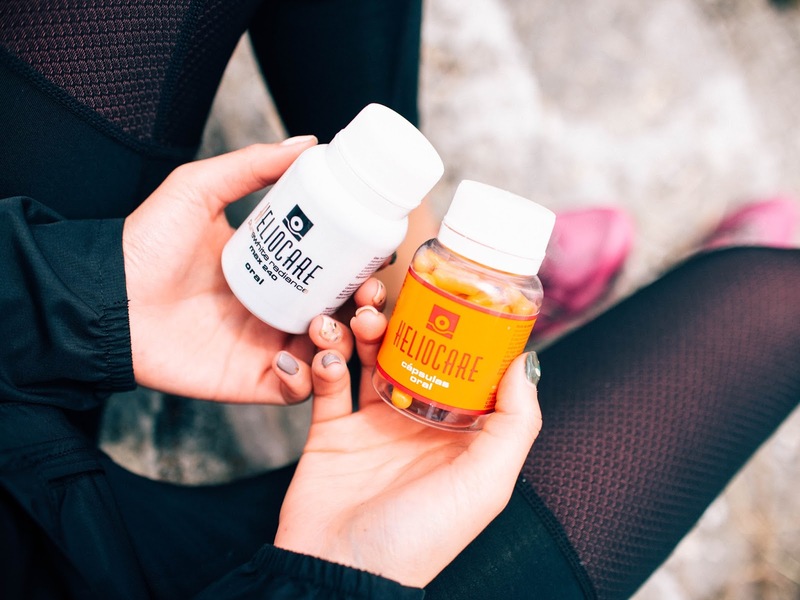 Or if you're looking for a skin supplement that helps with whitening and anti-aging, you can read up more about Heliocare and their 100% herbal ingredients here.